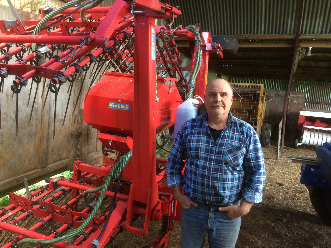 Rene Van Gijs of Tokoroa bought an Einbock Pneumaticstar 600 in February 2011. To date it has seeded 2984 hectares. Asked about this investment, Rene said: “It is without doubt the most versatile seeding unit I have ever used. The seeding rate is infinitely adjustable and extremely accurate. It is versatile in that it will sow just about any seed, and from worked paddocks to direct-sow into existing paddocks, either top-up/under-sowing or sprayed out. In fact just over 1000 hectares has gone to direct seeding. "It is very important that we have good gear and good service. We have that with Krone and Kaitaia Tractors." Kevin & Cynthia Mills, dairy farmers managing two farms milking a total of 600 cows are also hay & silage baling contractors. Based near Kaitaia, they operate a Krone Big Pack 80-80 medium square baler, a Krone CombiPack 1500V, a VarioPack 1500MC round baler and a Krone Swadro 761 swather. Phil Parry said (about Piako and Tullochs) "It is a pleasure to work with good people. We all get along pretty well, and we get things sorted quickly if there are any issues." 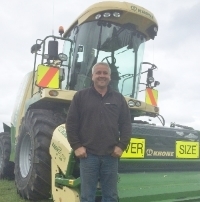 "Buying the new Krone machinery has paid off, with much lower running costs than before." Owner of VP1500 (1st season 6,000 bales) - “My 17 year old daughter has been driving the baler, and that says something about how easy it is to use. It has had less downtime than my old baler. We only had to rebale 2 or 3 bales all season and that was not the machine’s fault."